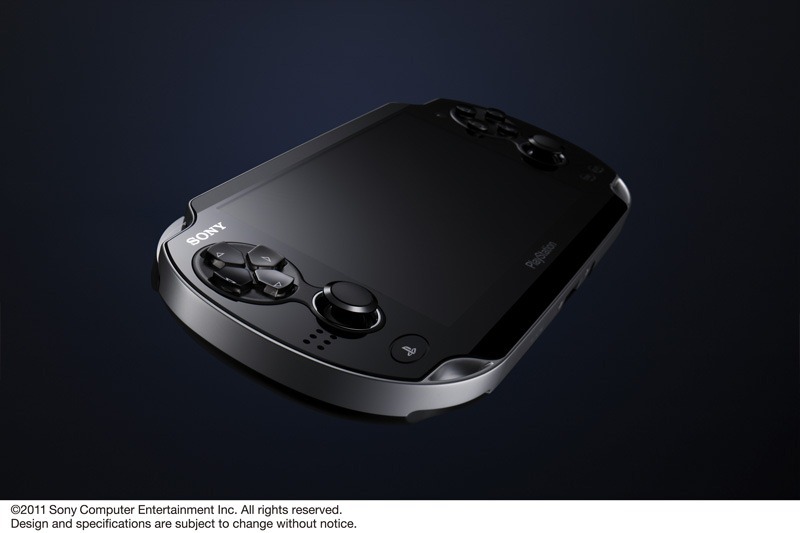 After weeks of rampant speculation over the future of the PlayStation Portable brand, Sony has unveiled the next evolution of its handheld lineup: the Sony NGP, or “Next Generation Portable.” The new handheld is not the device we saw the other day, either. 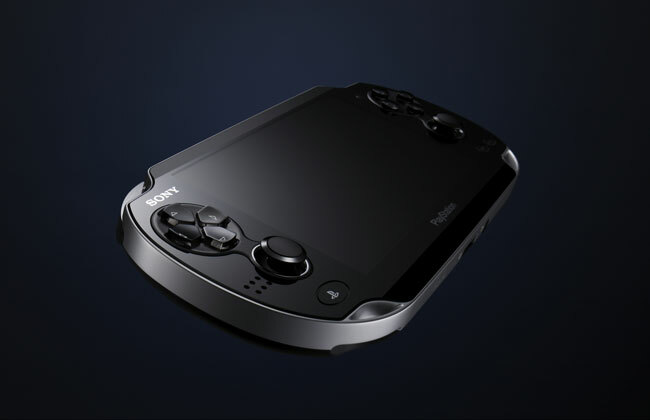 Sony claims the new device is as powerful as a PlayStation 3 and has software to back it up. At the unveiling, Konami’s Hideo Kojima came on stage to show off a version of Metal Gear Solid 4 running smoothly on the handheld. 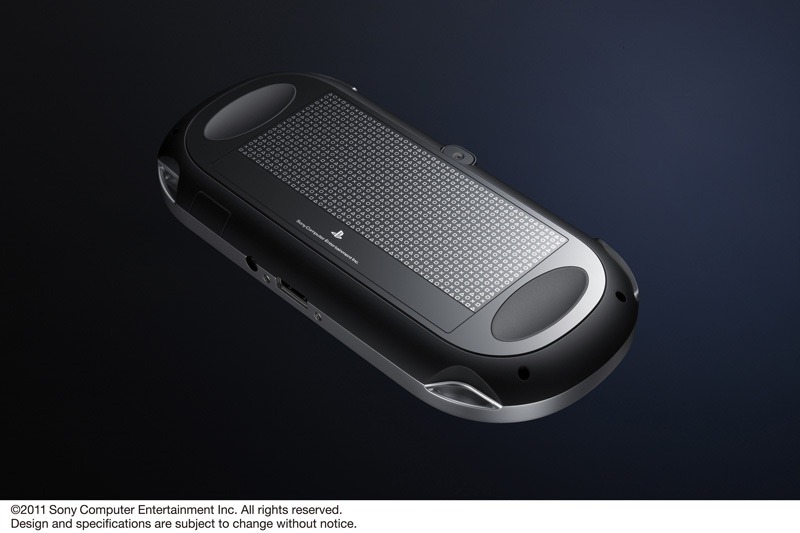 At the unveiling, Sony president Kaz Hirai says the new handheld was conceived with five core principles in mind, reports PC World. NGP was built around social connectivity, location-awareness, a “revolutionary” user interface, augmented reality, and PlayStation Suite compatibility (more on that at the bottom of the article). Quad-core processor: Smartphones may have just breached dual-core processing, but Sony is including a quad-core ARM Cortex-A9 processor in NGP along with a SGX543 quad-core graphics processor. Sony claims the device is about four times as powerful as any portable device we’ve seen. It will need that power too if it hopes to run full PS3 games. Sony expects battery life to be 4-5 hours. 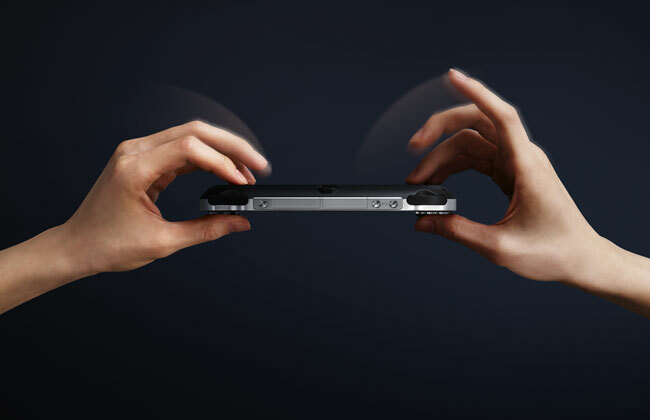 Multitouch qHD OLED: So here’s what you can expect. 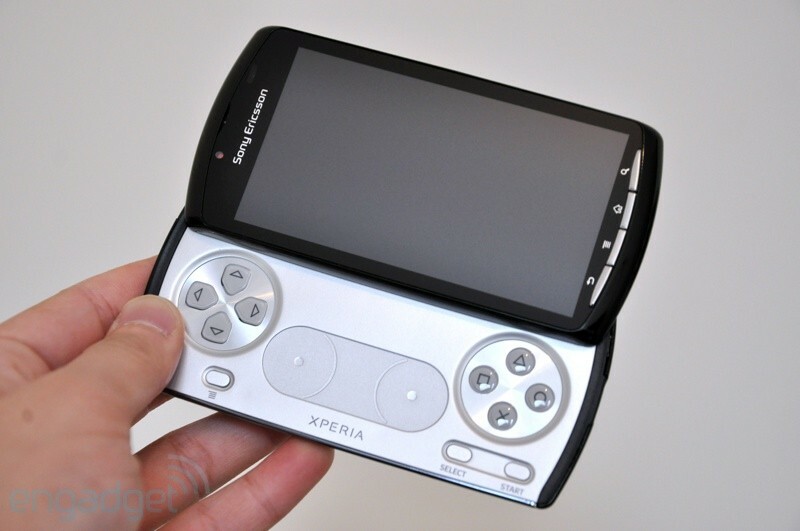 Unlike the PSP Go and PlayStation Phone, the NGP does not have a slide-out design. On the front is a gorgeous 5-inch OLED screen at a qHD (960 x 544) resolution, the current high-standard on smartphones. The screen also has capacitive multitouch capabilities (same touch technology as most smartphones) enabling touch games without a stylus. Rear multitouch surface: Much cooler is the fact that the back of the NGP also has capacitive multitouch panel on it. It’s not a screen or buttons, but like a mouse pad on a laptop, you could manipulate on-screen gameplay using touch gestures on the rear of the device. This is a new feature we haven’t seen before. On Sony’s first unit, the rear touch surface is denoted by a grid of PlayStation triangles, squares, circles, and Xs. 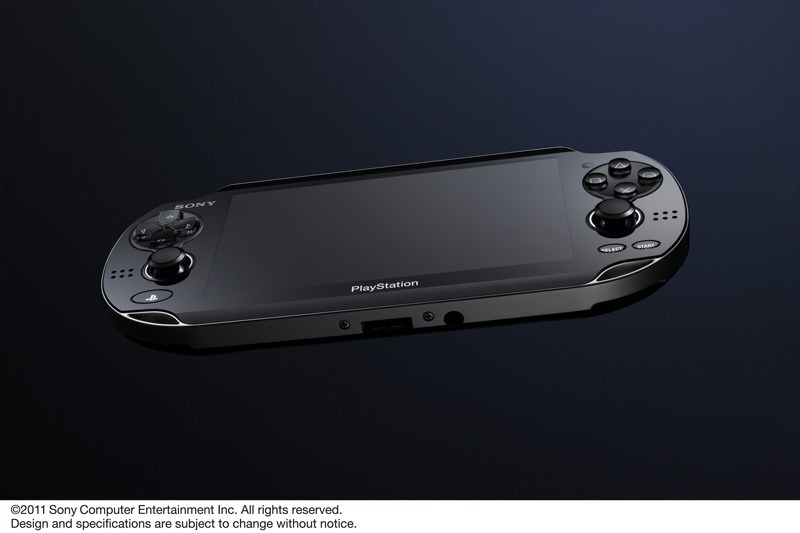 Two full control sticks: Unlike the 3DS, PSP, and almost every portable gaming device, Sony’s new handheld will have two actual, full-fledged control sticks on it. Granted, they’ll be a bit shallow, but they are the real deal, says the electronics maker. Aside from the addition of control sticks, which Sony is dubbing “micro analog sticks,” the system has the standard D-Pad, four face buttons (shapes), L and R shoulder buttons, Start, Select, a PlayStation button, a power button up top, and a volume toggle. Front and rear cameras, motion: The NGP does not have 3D like Nintendo’s new handheld, but it does have rear- and front-facing cameras. (We don’t yet know how the optical strength of the cameras.) 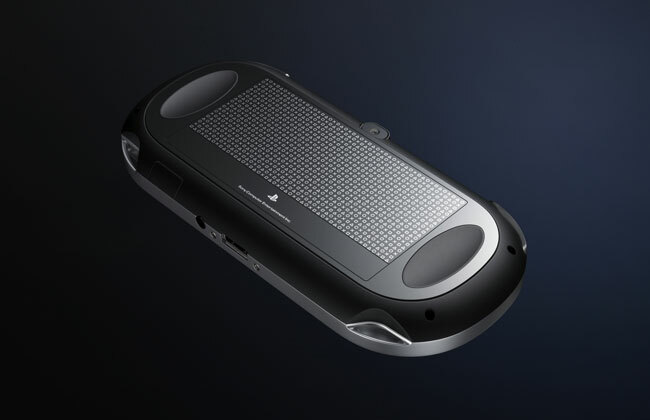 The gaming device is also equipped with three motion sensors, a gyroscope, an accelerometer, GPS, and an electronic compass, all of which will be used to provide motion-based play, much like you see in many smartphones. 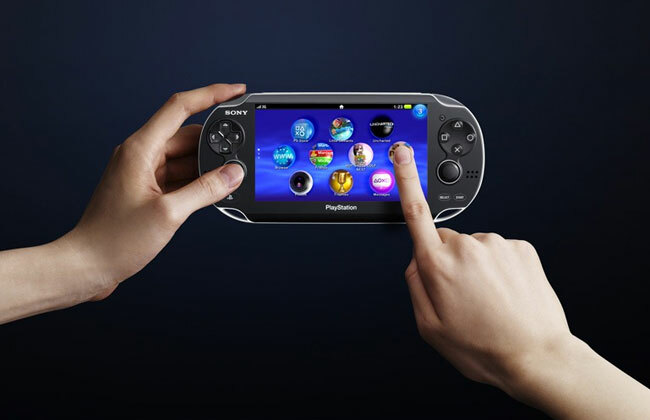 Flash storage: Like the PSP Go, there is no UMD drive on the device, or any form of disc drive, for that matter. Older PSP games will be available for download on the official PlayStation Store and stored on the device via a new proprietary flash card designed for NGP games. No data on storage capacity or max size of NGP games has been revealed. 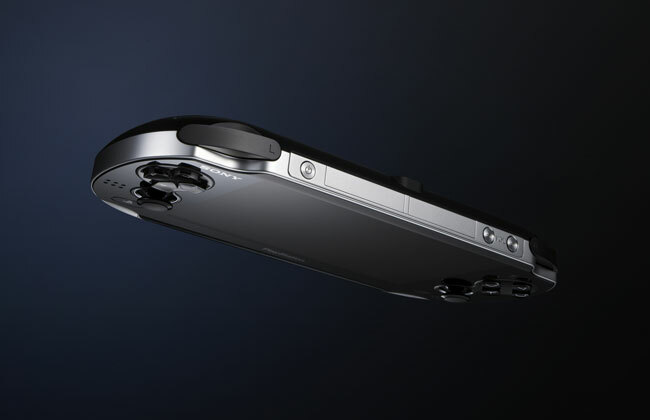 As earlier reports indicated, the device will be 3G and Wi-Fi capable. We also wonder just how long it will take to download games that will undoubtedly take up Gigabytes of space. 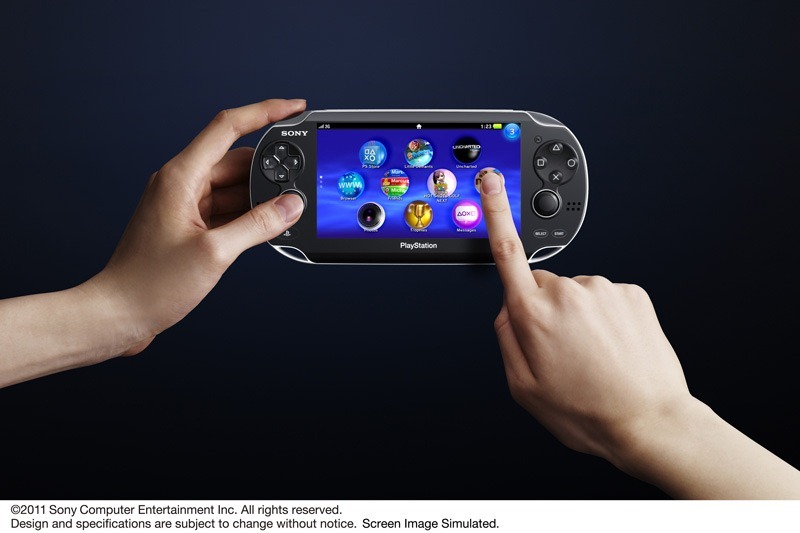 LiveArea: Sony also unveiled a new feature called LiveArea, which will be included in every NGP game. It’s basically a PlayStation Home / Xbox Live type feature, allowing players to communicate with one another and share their accomplishments and activities with everyone on the PlayStation Network. From the sounds of it, the system may be able to match you with players who are at similar levels of accomplishment in any game or title. We look forward to learning more about the feature. NGP will also be compatible with PS Suite, which is a new Android platform the company is launching. (Does this mean Android is running on NGP?) Basically, this means that Sony will have its own PlayStation Store available for Android devices it deems “compatible.” We don’t know if these devices will be required to have face buttons or not. To begin, Sony plans to release old PlayStation titles through the store, but is reaching out to developers to create original content as well. All games on the PlayStation Store will need to be Sony certified. The company will launch Sony Ericsson devices that are compatible with this network as well including the PlayStation phone we’ve seen floating around the Web for months. Engadget recently got its hands on this device and has written up a full hands-on preview, which you can find here. No pricing or release date has been announced. The NGP will likely cost at least $250, the price of Nintendo’s 3DS, but could be priced as much as $300-$500. 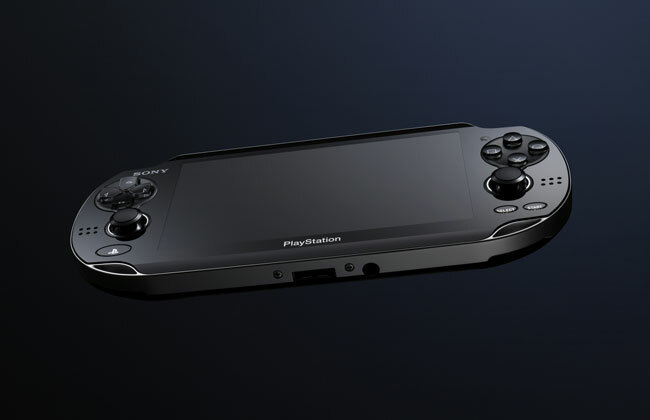 Sony has given a vague release window of holiday 2011.